With the World Canine Organization recognizing over 300 different breeds of dog across the globe, it can be extremely difficult to know which is right for you and your lifestyle. When deciding to bring a puppy into your home, you are making a committing to, usually, at least ten years of love, care, and attention. So ensuring that you select the right dog for you is absolutely crucial. 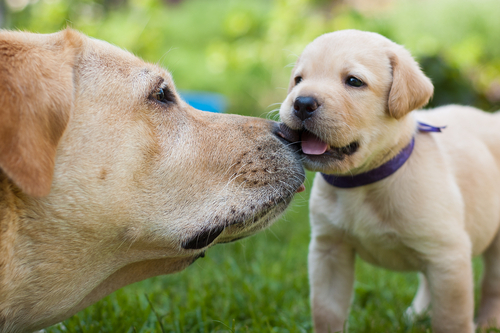 With this in mind, we have put together this article to look at the physical and behavioral characteristics of a few popular breeds when they are fully matured. Physical characteristics: Muscular, powerful and sturdy animals they are also surprisingly athletic. Its strong jaws and muzzle can mean it can look ‘mean’. The tail is low set, thick at the base and tapers to a point. The coat is short and smooth and comes in an array of colors. Temperament: American bulldogs make extremely loyal pets that display strong protective instincts towards their families. Highly alert and great with children, they are sociable animals that need to know their place in the family hierarchy. A firm pack leader, good socialization from a young age and obedience training will make them easier to handle. Exercise: They are relatively inactive when indoors, but need at least an average sized yard and a long daily walk. Health: The breed is prone to hip dysplasia. Physical characteristics: The largest of the arctic dogs, the Alaskan Mamalute is a well-built animal that strongly resembles a wolf. It has a plumed tail, large thick feet with tough pads and a dense, coarse coat up to three inches in length and in an array of colors. The muzzle and legs are almost always white. Temperament: These dogs are sociable, loyal and bright. They are better suited to older children and love to please their human family. However, because they are so friendly, they are more likely to welcome intruders than scare them, so do not make very good guard dogs! They have strong prey instincts, so they should not be around smaller animals. Strong leadership, obedience training, and proper socialization are critical as without them they can become destructive. Exercise: Alaskan Mamalutes are very active and love the outdoors, so they are best suited to homes with large yards and an owner who can commit to long daily walks. High fences and buried fence bases are a must as they like to try and roam. They struggle with hot climates, so they will need less exercise and plenty of cool water and shade. Health: This breed is prone to hip dysplasia, bloating, and dwarfism. Physical characteristics: A small and sturdy dog, the Bichon Frise has a short muzzle and dropped ears covered in hair. It has a thick tail that is carried over the back and a double coat of up to four inches in length that is usually a shade of white, cream, apricot or grey. Temperament: These extremely sociable animals make ideal companions as they adore human company and love to please their owners. They are excellent with all ages of humans and other dogs and are affectionate and intelligent. As with all small dogs, there is a risk of developing small dog syndrome where the animal feels that he is the pack leader to humans. 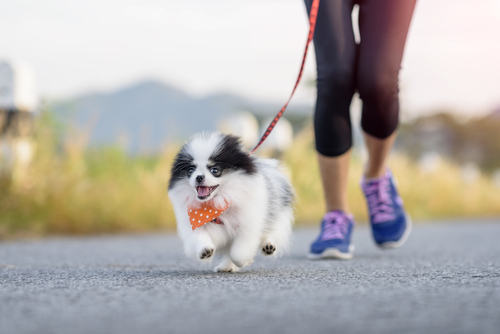 This can cause them to develop a number of behavioral problems, so ensure that steps are taken to prevent small dog syndrome from setting in by asserting yourself firmly as the pack leader. Exercise: The Bichon Frise can happily live in an apartment provided they are given regular exercise through daily walks and play. Health: This breed can be sensitive to flea bites, and prone to cataracts, skin and ear ailments, epilepsy, and dislocated kneecaps. Physical characteristics: Compact, square-bodied dogs with good muscle tone and erect ears; the Boston Terrier is a handsome animal. The legs are quite wide set, the tail is short, and the coat is short and fine. Temperament: These are intelligent creatures that are easy to train and affectionate with their family. They are good with people of all ages and love to be sociable. Also at risk of developing small dog syndrome, so proper authority and obedience training is necessary to ensure that they know their place. Exercise: Boston Terriers are suited to apartments as well as houses with yards, so long as they get regular walks and play. They are sensitive to extreme changes in weather. Health: Their prominent eyes can be prone to injury, as well as a multitude of eye-related health problems, including glaucoma, ulcers, and cataracts. Deafness, tumors, and breathing difficulties when exerted or dealing with hot weather are also concerns. Physical characteristics: Classified as a ‘toy-sized’ dog, it has a body that is longer than it is tall, large erect ears, and a sickle-shaped tail. Coats are normally short and come in a large range of colors. Temperament: A good companion dog, the Chihuahua is a bright and loyal addition to any household. Small dog syndrome is a huge issue for Chihuahuas as their size means people tend to let them get away with dominant behavior, meaning that unless this is tackled firmly they are not suitable to be homed with children as they can become aggressive. Exercise: These dogs prefer warmer weather, but are happily suited to apartment living provided they have daily exercise. Play will take care of much of their exercise requirements. Health: This breed is prone to rheumatism, colds, and gum and eye problems. They gain weight easily and are susceptible to poison so take extra care around toxic products. Their short muzzles mean they are likely to wheeze and snore. Physical characteristics: Most commonly recognized by their spotted coats, a variety of colors are known, including lemon and tri-color. They are strong dogs with good muscle tone, hanging ears, and tapered tails. Puppies are born completely white and develop the spots later. Temperament: Dalmatians have huge amounts of stamina and energy and are very bouncy although friendly pets. They enjoy playing with older children but may be too boisterous for younger family members. They require firm handling, plenty of physical and mental stimulation, and consistent training. As they age, they become more docile and easier to manage. Exercise: Not suited to living in cold climates, these dogs require a lot of exercise. Several walks per day and access to a large yard are ideal starting points, but be prepared to put in a lot of activity with your Dalmatian. Health: Approximately 10-12% of Dalmatians are born deaf, but it is possible to raise a deaf dog to become well adjusted. The breed is also prone to urinary stones and skin allergies. Physical characteristics: A medium to large sized dog, the standard Poodle is distinctive thanks to its curly or corded coat, high-carried tail, and low hanging ears. It will require extensive grooming to ensure the coat doesn’t become matted and dirty. Temperament: Often considered to be a very proud, graceful, and intelligent animal that is easy to train. It is generally friendly with children and strangers and can mostly get along with other dogs. Exercise: Poodles are relatively inactive indoors and only require a small yard provided they are given daily walks. Health: The breed is, unfortunately subject to a number of genetic conditions, including poor eye health, allergies and skin conditions, bloating, hip dysplasia, and ear infections. We hope that this article has given you an insight into the broad range of physical and behavioral characteristics that are present across different breeds of dog. For further breed information, we recommend visiting www.dogbreedinfo.com.